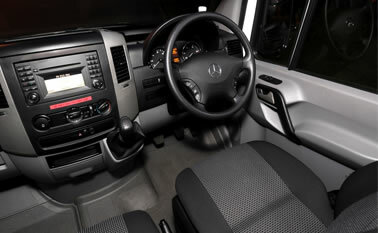 All our luxury splitter vans have EXTRA COMFY reclining leather seats and you can choose from three internal configurations to suit your preference of seating, driver’s bunk and table layout in the band area. 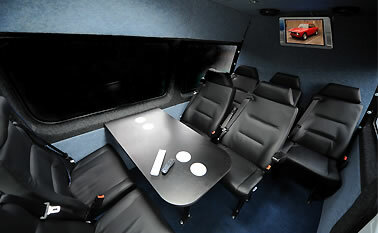 Band area with 6 fully reclining seats and laptop table. 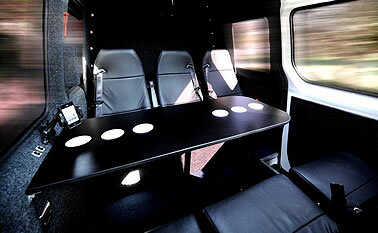 Band area with 6 seats surrounding large table and driver’s bunk. Band area with 7 seats – 4 surrounding table with row of 3 behind. No problem. 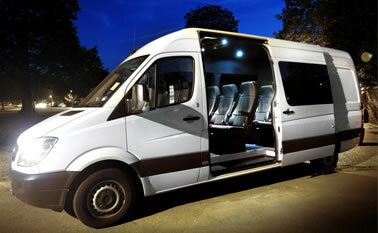 Take a look at the latest additions to our luxury splitter van fleet which include automatic transmission. The Matt Snowball splitter bus fleet is housed in London and our vans can be collected from either our North or West London offices. 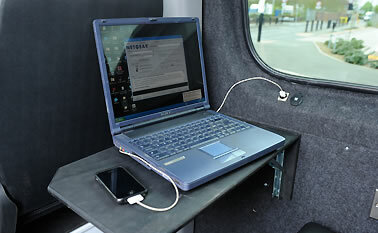 We can also deliver anywhere in the UK. Get in touch to discuss what works for you.